Mr and Mrs Wheeler wished for more living space, we answered the call! 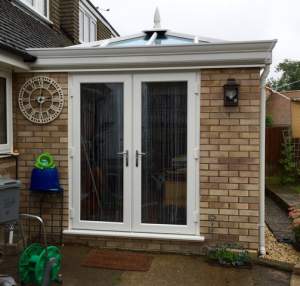 Here at Win-Dor, we’ve always remained committed to providing homeowners throughout Buckinghamshire, Northamptonshire and Oxfordshire with the very best home enhancements around since the early days of 1978. This time around, our bespoke services were needed in Milton Keynes, where one lucky couple wished for a high quality orangery in which to relax and enjoy the winter evenings. Having lived in their home for a number of years, the Wheeler family recently felt the need to breathe new life into their existing property in such a way that wouldn’t disturb the already beautiful aesthetic of their home’s rear area. After much discussion and advice from our knowledgeable team, it was eventually decided that a newly built orangery would be the perfect solution, being able to merge seamlessly with the Wheeler’s home. 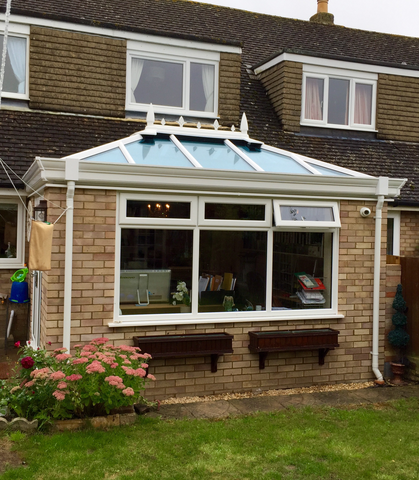 Combining all of the benefits of a traditional conservatory and a full-scale extension, with a new orangery from Win-Dor, the Wheelers would be better able to enjoy an extended living space that would rendered usable 365 days a year, instead of just the spring or summer. Our team was able to colour match the new build brickwork with the existing property’s visual style, resulting in a stunning addition. During the installation process, we made sure to cause as little disturbance and interruption to the Wheeler’s day-to-day life as was possible, ensuring that the fitting was nothing short of hassle-free. From brick-laying to glazed roof fitting, safety was always of top priority, and it was something the homeowners most definitely appreciated. When it comes to transitioning to the outside garden via the newly built orangery, our range of classical French doors offer the Wheelers low thresholds for increase ease of access. Win-Dor French doors are also one of the most competitively priced products on the market, so it was an easy choice for the homeowner’s budget, also allow plenty of natural light to enter the orangery. Both our installation team and the Wheeler family were more than impressed with the result of the finished product, delivering on our promise to offer total customer satisfactions every time. Since 2004, Milton Keynes has striven to undergo a successful housing regeneration and Win-Dor will always be fully on hand to help homeowners such as the Wheelers. If you’d like to benefit from the joys of a new living space that merges seamlessly with your home, be it through an orangery or conservatory, feel free to call one of our local teams today or send us a quick message online. We’ll be back in touch promptly.